Last August, Mexico City’s Museo Tamayo showcased its newly renovated facilities with a suite of high-profile international exhibitions that colonized every inch of the expanded space (and even some of the surrounding park). Dueling group shows commandeered the more traditional galleries, while solo projects by professional enigmas like Pierre Huyghe and Ryan Gander took the atrium and staff entrance. Amid the Hiroshima mobiles and the Sol LeWitt repurposed as a kitty gym, it was easy to overlook the swinging doors tucked away in a small, dark gallery just under the stairs off the atrium. In the context of the recent renovation, these doors almost read like relics of the museum’s past, each marked with telltale institutional traces — classroom numbers or no-smoking signs. The five doors were mounted in freestanding metal frames and lined up in a gauntlet that led to a smaller, darker room, where a film was playing. 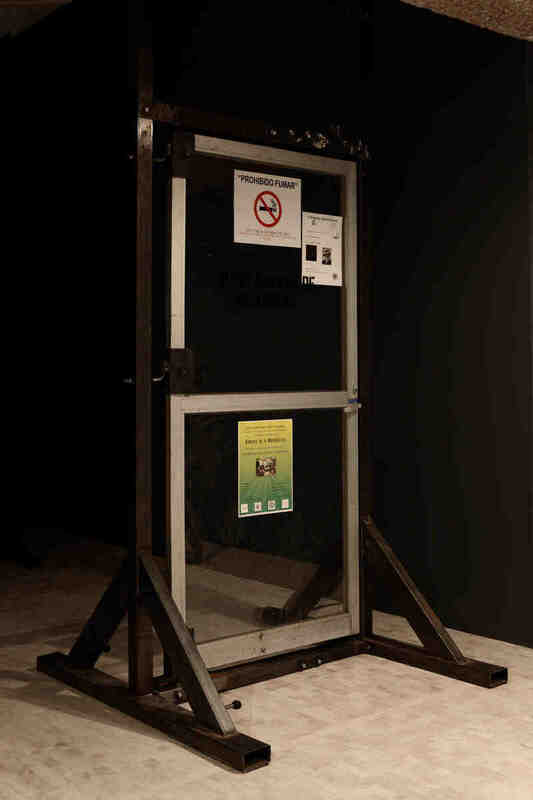 Viewers had to pass through at least one door in order to access the film; along the way, they were conscripted, willingly or not, as the artist’s accomplices. Their mission was simple: using borrowed math, the artist and his viewer would prove nothing less than the existence of the Devil. Artist Michael Stevenson derives this “New Math” — and the name of his exhibition — from a calculus of vandalized paintings, stuffed peacocks, silver balloons, false eyelashes, deposed Shahs, unshaved barbers, planes that never take off, planes that never land, and an ace of clubs that never shows its face. The film in the inner chamber — Stevenson’s twenty-five-minute Introducción a la Teoría de la Probabilidad, 2008 — never reveals the exact equation. Instead it lays out the various elements like a hand of solitaire; to make sense of any of it, one has no choice but to uncover the cards in the order in which the artist has dealt them. In the process, the viewer is enlisted as Stevenson’s co-conspirator, a double for an artist whose practice draws from a constantly expanding catalog of coincidences and conflations, doppelgangers and dead ringers. The film opens with found footage culled from a black-and-white slide show of an introductory textbook on statistics. It begins with a slow scroll though the opening pages: place and time (Panama, 1979); title (Introducción a la Teoría de la Probabilidad, the same as Stevenson’s film); an author’s name (José de Jesús Martínez). In an oddly intimate gesture for a visual aid, the fourth slide is a dedication, a list of the author’s loved ones. What follows is an assortment of illustrations that explain the key concepts of continuity through varying configurations of playing cards. An unseen narrator glides her smooth, accented Spanish over a soft soundtrack that simulates the clicking of a projector: In mathematics, there are things that are true, there are things that are false. There are things that are true that can never be proved. There are things that are false that can never be disproved. Stevenson cuts these found slides into his own color footage of pale, male hands peeling rubber bands off decks of playing cards, then dealing them out against a deep blue background. 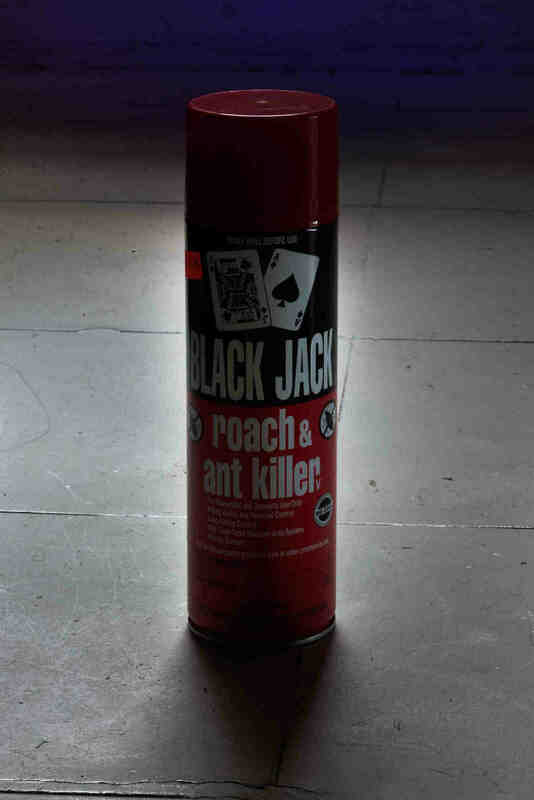 In the first stack, several cards are out of place — the queen of spades before her jack, a six after a seven, the ace of clubs missing all together. As the hand reshuffles the deck, the soothing voice reminds viewers that probability means something because it is something; coincidence can only have the meaning it is arbitrarily assigned. In other words, the likelihood of the ace of clubs being drawn three times in a row remains 1:52 for each draw (that is, if the card is even in the deck). Stevenson has spent more than two decades investigating the coincidences and interconnected histories underpinning the global economy. The narratives that the artist assembles from this research rarely resemble those in textbooks, eschewing clarity and focus in favor of a broader understanding of “cause” and “effect.” For example, the artist’s 2006 project, Answers to Some Questions about Bananas, embarked from New Zealand’s quixotic attempt in the late 1960s to produce a national automobile (using Czechoslovakian parts, no less) and arrived at the Phillips Machine, an analog computer that modeled an economy as a hydraulic system. Stevenson’s subsequent investigation into the American manufacture of this machine (thoughtfully rebranded “The MONIAC”) leads the artist — and, subsequently, his viewer — to the Central Bank of Guatemala and its biggest customer, the United Fruit Company. Although this endeavor would ultimately prove (in a word) fruitless, Stevenson’s artistic practice privileges the quest over its objective. For this and other exhibition projects, he inscribes traces of his unanswered questions into what he calls “objects of intrigue,” surrogate stagings that reenact or recall findings from the artist’s research, perhaps hoping that the viewer will be prompted to conduct his or her own. Should the viewer comply, however, often it is to discover Stevenson’s findings may be as much speculation as revelation. The deck may have been stacked. In a 2009 interview with curator Nav Haq, the artist cites his own hyperrealistic drawing of a photograph of Guernica in the process of restoration (once again preferring the aftermath of destruction to the moment of creation). Stevenson’s copy, which appeared in a newspaper and then online, was so faithfully rendered that it could have been — and perhaps was? — mistaken for the original photo. As Haq points out, there’s no way to be certain whether what was printed was the archival image or its pretender. There are things that are false that can never be disproved. 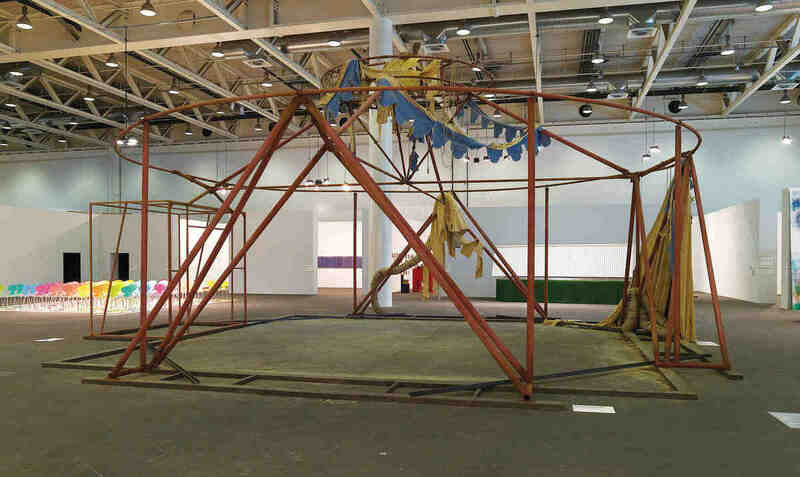 For the 2007 edition of Art Basel Unlimited, Stevenson modeled a tent on the remains Clark described — the ruins of the party at the ruins. In lieu of the original steel structure, the artist draped cardboard with artificially distressed cloth, which he embellished with pine needles, bones, and false eyelashes. Symbolically speaking, his Persepolis 2530 served as both a reckoning and a wager, infiltrating the commercial space of the art fair right at the market’s most lurid; in that moment, its impending crash seemed as likely as a 2,500-year-old empire dying over a dinner party. The artist accompanied this object with the palm-size volume Celebration at Persepolis (Christoph Keller Editions, 2008). The book shuffles through the major players of the story, picking them out like cards from the deck: HIM, Her, Her architect, Monarchists, Revolutionaries, and so on. Each character is distilled to a sum of distinct impressions and momentary images: Warhol’s silver balloons being discovered amid the guns in the armory, or those same balloons being brought to the lips of the Shah’s granddaughter, mistaken for a toy. There are things that are true that can never be proved. There are things that are false that can never be disproved. Stevenson might have imagined he would be leaving the Persian Empire behind when he accepted a commission for the fifth Panama Biennial in 2008. It turned out that he was only following the story to its illogical conclusion. Forced to flee Iran in 1979, the Shah, his wife, and their family had embarked on a fourteen-month trek. One of the stops on this tour of exile was Isla Contadora, a leisure destination off the coast of Panama where conquering Spaniards used to go to count (contar) their pearls. Celebrated as the “Jewel of the Pearl Islands,” the resort had just enough casinos to keep the Pahlavis entertained, if not amused. History teaches that cards can come in handy during an island exile; at least two types of solitaire have been attributed to Napoleon, purportedly invented during his sojourn on St. Helena. The Shah’s time on Contadora — from roughly December 1979 until March 1980 — was passed in similar pursuits. Indeed, witnesses wondered if it would not have been more dignified for him to have died in a battle for his country than to waste away at a tropical resort, posing for pictures with Panamanian tourists. The Shah maintained that his first duty was to preserve his bloodline, to spite the damnable math that had reduced a 2,538-year dynasty to “one household suite and two dogs” (“introverted” poodles, at that, we are told). That number was to be even further reduced, as the Shah himself was quietly entering the final stages of non-Hodgkin’s lymphoma. He was reputedly the fourth richest man in the world. (When the British journalist David Frost speculatively offered to buy him out for $1 billion dollars, the Shah replied that he must refuse to comment on such matters until he saw anything on paper. “And besides, you don’t have a billion dollars… do you?”) Even the King of Kings understood that he could not purchase his way out of death. And so he played cards on Contadora. That the Shah found himself in Panama at all — “a passage rather than a destination” — was the outcome of another high-stakes gamble, one that involved then–U.S. President Jimmy Carter handing over the much-disputed Canal Zone to General Omar Torrijos Herrera, “Maximum Leader of the Panamanian Revolution.” This is the story told over the cards in Introducción a la Teoría de la Probabilidad. As the textbook slide show gives way to footage of the pale forearm counting out the decks, Stevenson’s narrator shifts from outlining the principles of probability and continuity into speculation on the Shah’s stay in Panama. The script recasts the Canal Zone negotiations as a type of flexible algorithm, in which the probability of Ronald Reagan entering the next hand might affect the value of the King of Kings in the cards currently on the table. Stevenson draws his narrative from the memoirs of another wild card by the name of José de Jesús Martínez, revered by all as “Chuchú.” “Panamanian by choice,” Chuchú was a native Nicaraguan who became deeply involved in the political histories of both his countries. Having studied at the Sorbonne — he would later converse with the Shah in an easy French — Chuchú began his career as a professor of Marxism. Changing political tides soon swept him to mathematics, a field in which he would publish many a text (including the source material for the slide show in Stevenson’s film). In the professor’s spare time, he made a name for himself as a pilot, poet, and playwright, an occasional philosopher and perennial philanderer, and an outspoken advocate for (and known harborer of) refugees from neighboring dictatorships. Chuchú was the type of man who ordered his wine by the political regime, rather than the vintage; it was said that he never imbibed any Argentine wines produced during Pinochet’s reign. A chance encounter with an elite Panamanian guerrilla warfare unit — the Wild Pigs — led to his close bond with General Torrijos, who recognized the professor as a kindred spirit, eventually promoting him to a place of honor as his personal bodyguard. After the general’s death in a 1981 plane crash, Chuchú recorded his experience in Mi General Torrijos (1987), the memoir that would serve as one of Stevenson’s primary sources. Three years prior to Mi General Torrijos, the British author Graham Greene would publish a memoir of his own, genially titled Getting to Know the General: The Story of an Involvement. Greene crafts his account as a collection of coincidences, starting with the author’s first day in Panama. He leaves the hotel with the wrong bodyguard, sent to pick up another Senõr Greene. From there, the story plays out like a poker game, a continual re-combination of facts, figures, and face cards. (One example? On Contadora, the Shah of Iran dined with Patty Hearst, who was there on a honeymoon with Bernard Shaw — the son of a San Francisco fireman, not the Irish playwright — her former bodyguard.) The book itself is haunted by its abortive twin, the novel Greene had originally planned to write about the general and his bodyguard. That novel, tentatively titled On the Way Back — Chuchú’s constant refrain during their adventures — was never written, but it is described at length within Getting to Know the General. At one point, Greene humorously depicts his reluctance to inform Chuchú that his fictional doppelganger was doomed to die in a plane crash, mere hours before the mutually assured seduction of a sultry European journalist. Chuchú was thrilled, immediately quoting a line from Yeats’s “An Irish Airman Foresees his Death”: I know that I shall meet my fate / Somewhere among the clouds above. But in a sick twist, fate would assign Chuchú’s fictional ending to his beloved general, whose very real demise no bodyguard could have foreseen. He showed me a short book he had published with the title, The Theory of Insinity. “What on earth is insinity?” I asked. In mathematics, there are things that are true, there are things that are false. But what of the things which are neither? 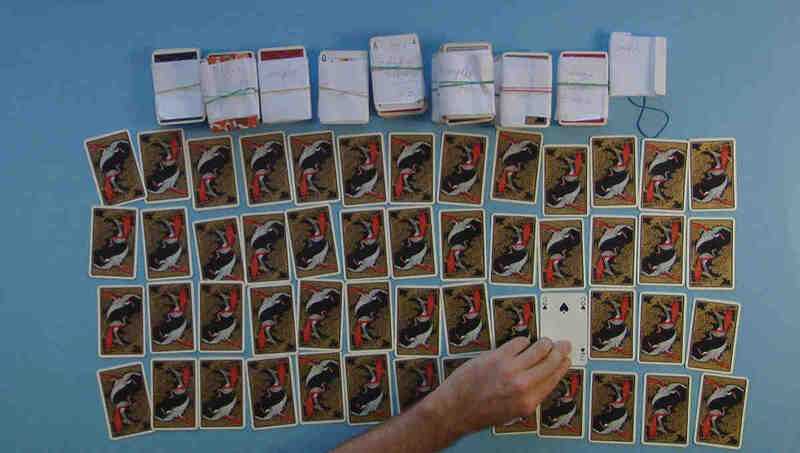 The narrator of Introducción a la Teoría de la Probabilidad calculates that the number of possible permutations of a deck of cards yields a figure sixty-eight digits long — “a tribute to the typographic beauty of the factorial function.” In this instance, the probability of a deck ever being shuffled the same way is infinitesimally small. The probability for a close approximation, while still very small, is naturally slightly higher. These unfathomable figures aside, one must remember that all instances of probability can still be contained in the space between the one and the zero, the yes and the no, the true and the false. On this kind of scale, the bodyguard is always somewhere in the middle, neither fully present nor fully absent. This quintessential conundrum likens him to another figure of fascination for Stevenson, the barber in Bertrand Russell’s parable about set theory. The question is simple, but its ramifications are immense: If the only barber in town shaves every man who does not shave himself, who shaves the barber? It is a rare Marxist who does not believe in God but swears that the existence of the devil can be proven by the swing of a door. To understand more about this man and his liberal application of the laws of physics, Stevenson returned to Panama in 2011, when he interviewed the professor’s friends and former colleagues, hoping to glean more information or anecdotes that might help the artist piece together the specifics of Chuchú’s proof. This research would constitute the basis of the “New Math” calculated by the swinging doors at the Museo Tamayo. There are things that are true that can never be proved. Statistics insists that past events have no bearing on the event at hand, and the desire that they should only leads to what textbooks call “subjective probability.” After all, every one knows that after the same card has been drawn twice, the probability of it being drawn a third time remains 1:52. At the end of Stevenson’s film, the narrator poses the question: How many winning hands are still possible when the first player has already the Ace of Clubs? But this question is no longer relevant, as we already know from earlier that the ace of clubs has gone missing from this deck. For his part, Stevenson never seems too interested in who is holding the ace, anyway; like Chuchú, it’s only the devil he’s out to prove. There is, however, one last card that Stevenson has yet to play, and what probability could explain it? It is an image of Chuchú, pulled up by the algorithm of an internet search engine. The portrait is cropped close in the manner of a book jacket author photo. The bodyguard’s head is cocked at a confessional angle, his eyes locked on the viewer. He could be entirely naked, although that’s not likely; it is likely, however, that he is mostly naked. He appears to be on his hammock, but his eyes burn with napless intensity. He is using two hands to hold one card. It is printed with an image of Guernica. The deck is always stacked, the voice concludes at the end of the slide show. Mathematics is infinite. By Stevenson’s calculations, it is also insinite.